You move into a brand new house, you’re happy and think that everything is fine, but suddenly, for some unknown reason, everyone keeps coming down sick, and you can’t figure out why! You call mold inspector to do mold testing and soon you find out that you have the dreaded black mold! >Mold exposure presents real risks to your family health and it should not be taken for granted. If scrubbing and bleaching don’t solve your problem, call Mold Busters, mold remediation specialists who will uncover and remove harmful spores. It’s better to call sooner than later, because any mold problem can become huge! 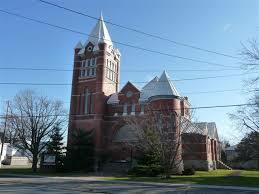 Winchester belongs to township of North Dundas in Eastern Ontario, Canada, along with a few other small villages. Winchester was first called Bates Corners (1835. ), and due to swamp-like conditions, it drew Irish and Scottish settlers, as water has always been crucial for survival and development. The village of Winchester is proud of its dairy festival that annually occurs in early August. IS CARPET CLEANING GOING TO KILL THE MOLD? If carpet has been saturated with water, it is most likely growing mold. Carpet cleaning is not going to kill the mold. If you have not removed the carpeting mold, it will continue to grow in it, and get worse over time. If you don’t want your carpet to become a ’mold farm’ or your living room a giant Petri dish, call Mold Busters’ professional team now!